Key figures in the sector have backed the publishers of the ALARM survey in calling for sustained and consistent funding for the local authority road network. 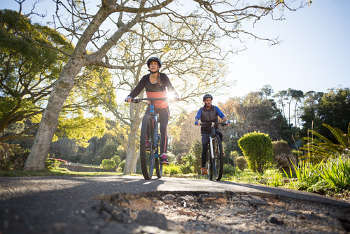 Paul Tuohy, Cycling UK chief executive, said: ‘Cyclists, like pedestrians, suffer particularly badly from poor road maintenance, as the outcome is far more likely to involve personal injury. Steve Gooding, director of the RAC Foundation, said the report ‘shows why a move away from patch and repair to a sustained investment plan is so urgently needed’. Both the Local Government Association (LGA) and the RAC repeated their calls for 2p per litre of existing fuel duty – equivalent to around £1bn a year – to be allocated to local road maintenance. 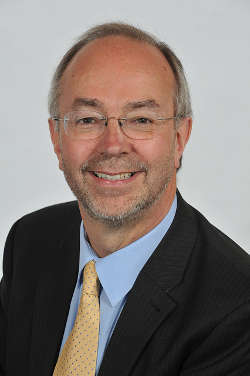 Cllr Martin Tett (pictured), the LGAs transport spokesman, said: ‘Faced with severe financial pressures, councils have managed to spend more on road repairs in the past year in order to fix a pothole every 17 seconds. ‘Despite these efforts, it is clear that our roads are deteriorating at a faster rate than can be repaired by councils, with the cost of clearing our alarming national roads repair backlog on the rise and now at almost £10bn. The RAC’s head of roads policy, Nicholas Lyes, acknowledged that more money appears to be getting through to councils, but said this was ‘simply not enough’. He said: ‘The results from this year’s survey chimes with our own breakdown data, which suggests the overall state of the UK’s roads is not getting any worse. But this is hardly positive – it remains the case that a driver today is still more than twice as likely to breakdown as a result of a pothole than in 2006, and potholes not only cause expensive damage to vehicles but are also a very real road safety danger for drivers, bikers and cyclists alike. A Department for Transport spokesperson said: ‘Potholes are a huge problem for all road users and the Government is taking action, providing local authorities with more than £6.6bn for roads maintenance and pothole repair in the six years to 2021. ‘In addition, we are trialling new technologies to stop potholes from forming as well as new ways to repair roads.